Currently, an appellate court in Los Angeles is reviewing whether or not Baby A should be placed with relatives under the “preferred placement preferences” of both state and federal Indian Child Welfare statutes, or remain with a foster couple who are claiming “de facto parent” status, with the same rights as biological parents. The foster couple, Summer and Russell Page, are the child’s third foster home since it was placed into state custody. According to friends, family and court watchers with knowledge of the case, all of whom declined to be identified because of the privacy rights of a minor child, although Baby A’s father was “rough around the edges,” he was a loving—even doting—parent. A mechanic for many years, he was arrested and sentenced to jail in 2010 for grand theft auto and selling stolen auto parts when the child was approximately a year old. Since he was a single father with no other family in the area (his Choctaw mother had recently passed away), Baby A was swept into the oceanic California foster care system. After the father was released from jail on December 31, 2011, his child remained in foster care while he worked to complete a “case plan”—which is a series of checklists, forms and services mandated by the court, including parenting classes, drug testing and counseling. At one point, he even had unmonitored day visits over weekends. And yet he never regained custody of Baby A. Eighteen months and three foster homes later, the process began to sputter as he kept getting his hopes up, only to get more additions to his case plan. Even though he had cleaned up his act, gotten a job, completed parenting classes and a multitude of other mandated programs, the father began to bristle at the seemingly endless demands placed on him by the Department of Social Services. Friends say he fell into despair, and said he considered the court keeping his child away from him as a punishment that did not fit his crime. As a non-violent offender he felt he had already paid his penance, including jail time and lengthy reunification efforts with his child. But there were other obstacles. Some of the court-ordered classes, for example, were offered only during his work day, and he could not take off because he had just gotten hired. He did not like the court-ordered therapist he was sent to, but was not given the opportunity to find another one. He went for his regularly scheduled drug testing, but missed an appointment, which was marked as a “positive” test under California law. Nonetheless, Baby A’s father felt he was doing the best he could, according to friends. Subsequently, sources close to the father say that he became “tired and fed up” with the endless checklists and requirements. In the meantime, bickering with the latest round of foster parents erupted after the couple had “fallen in love with Baby A” and set their sights on getting permanent custody of the child. According to people familiar with the case, the Pages began to dictate the terms and length of father's visits and began documenting a list of complaints, including that Baby A “smelled like cigarettes” when the child returned from visits with its father; that he “seemed intimidating,” among others. Depressed and frustrated, he told friends and family in the summer of 2013 that he was “tired” of fighting with the Pages and what he called DSS’s “stalling.” So, in order to maintain some kind of relationship with his child, the father of Baby A requested that it be placed with his relatives in Utah under the “preferred placement” provision of the Indian Child Welfare Act. With the consultation and consent of the Choctaw Nation, which has 175,000 members and is the third largest tribe in the U.S., an ICWA-compliant home was found with extended relatives in Utah. In December 2013, however, a Los Angeles judge issued a stay denying Baby A’s placement with its ICWA-compliant relatives in Utah pending further appeal, citing the foster parents’ contention that they were now the child’s “de facto” parents and that they had become “attached” to the child. According to family friends, Baby A’s father and extended family were devastated by the decision. Legal experts contend the stay ignored five key facts in the case: 1) That he is the biological Indian parent of Baby A; 2) his parental rights have not been terminated; 3) that he still has standing in the case; 4) that he therefore has a say in determining where his child should be placed; and 5) that the Choctaw Nation of Oklahoma, who also has standing in this case, supports father’s placement wishes. Alvino McGill and Grace, along with four other attorneys, are seeking to overturn ICWA in federal court on the basis that it is “unconstitutional” for its race-based placement preferences. The team is also seeking to terminate Baby A’s father’s parental rights, arguing that the Pages should retain custody of the child. Baby A, however, is not the first child this foster couple has tried to adopt out of foster care. The first child was eventually reunited with its parents—but only after they fought in court with the Pages to regain custody. 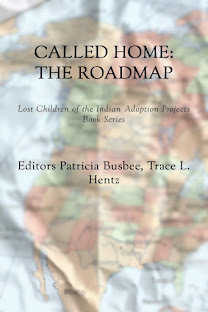 Reed, who is now a Dallas-based criminal defense attorney in private practice, says that states across the country “consistently mandate complicated, near impossible goals” in their so-called reunification plans for Indian parents that create a more favorable climate for the adoption of these children by foster parents. Across the United States, Native parents have complained that they face seemingly never-ending rounds of requirements and checklists that thwart their attempts to regain custody of their children after they disappear into state custody. The problem has become so widespread that the Bureau of Indian Affairs commenced hearings at an ICWA Summit in Rapid City, South Dakota, last year in which dozens of Indian parents testified before a panel of approximately two dozen government officials, including Assistant Interior Secretary Kevin Washburn, that their parental and human rights were routinely violated by the South Dakota Department of Social Services, which forced them to “jump through hoop after hoop” which did not result in being reunified with their children. Since those hearings in Rapid City last year, Secretary Washburn, who is a member of the Chickasaw Nation of Oklahoma, has never publicly commented on the case, which is under current review by the 8th Circuit Court of Appeals. Additionally, he has declined numerous requests from Indian Country Today Media Network to speak on the record regarding the nationwide issues with the Indian Child Welfare Act and the friction it creates between the tribes and the states under his purview. At the Rapid City summit, Indian parents complained that each completed checklist was met only with yet another checklist and more court-ordered programs and classes, while non-Indian foster parents and facilities across the state were being paid to care for over 750 Indian children who were swept into foster care every year. Additionally, many Indian grandparents, great-grandparents, aunts, uncles, et al, testified that even though they had become certified as foster homes, they were denied the opportunity by the Department of Social Services to care for their own relatives, in direct violation of the Indian Child Welfare Act. In response, the Oglala and Rosebud Sioux tribes and three Indian parents in South Dakota filed a class action suit in March 2013 against the state in federal court [Oglala v. Van Hunnik]. For the first time in U.S. History, the two tribes have sued the state under the doctrine of parens patriae—which means on behalf of all current and future tribal members. Currently, the legal team for the plaintiffs are awaiting a judge’s opinion in their suit, which asks for immediate declaratory and injunctive relief from the daily practices, procedures and routines in family courts that ignore ICWA. The plaintiffs charge that for years, Native children have been taken on virtually a daily basis by social services and placed into state custody by judges and social workers who completely ignored the provisions of both the Indian Child Welfare Act and even South Dakota state law, according to the suit. “I can't do it anymore,” he tearfully told a friend in the summer of 2013, around the same time that the Supreme Court handed down its ruling on Adoptive Couple v. Baby Girl. For 18 long months since his release from jail, dad had fought to regain custody and was only given more to do, which only gave the Pages more time to establish their “de facto” parent status. After losing his mother, being left with an infant to raise on his own, the arrest, the jail time, the separation from his child and his quest to regain custody had taken its toll. He reluctantly ceased reunification efforts, which were officially terminated in June 2013. But—his parental rights and standing in this case, however, remain in tact. His only request was that his child be at least be placed with ICWA-compliant relatives in Utah so that they could maintain some kind of relationship. 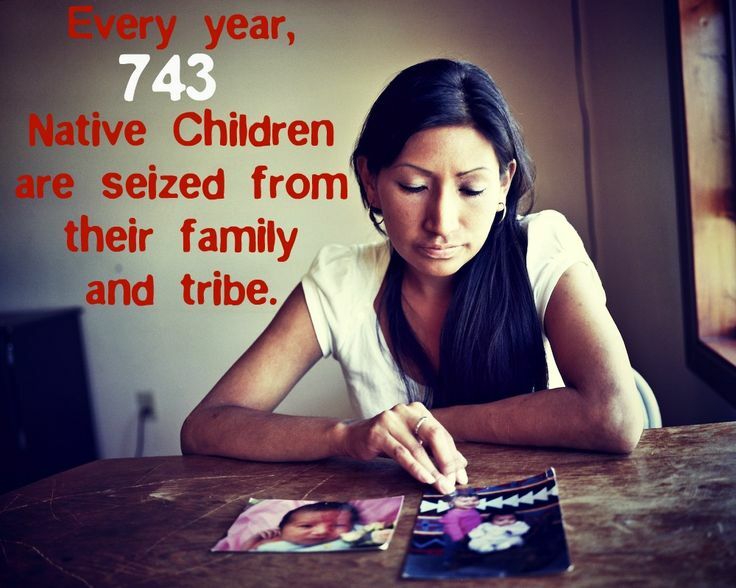 In early December 2013, Superior Court Judge Amy Pellman ordered a change of custody ruling that under the law, the child should be placed with the father’s ICWA-compliant relatives in Utah. On December 12, 2013, the Pages filed a motion with the court to stay the child’s removal to relatives to Utah, which was immediately granted. From that point forward, attorneys for the foster couple began referring to them as the “de facto” parents of Baby A and that they therefore had the same rights as the child’s biological parents. In spite of the legal wranglings by the foster couple and their new legal team, two obstinate facts remain: Father’s rights in this case have not been terminated; he still has standing under state and federal law. Says Reed, “So what if Dad was in jail? Does that entitle the state to take his child away forever? No it does not. Prison inmates have more parental rights than Indian parents. Unless there was clear and present danger to this child or evidence of abuse—and I do not see that there was—then they should have returned the kid to him by now. But they've stacked the deck against him, just like they did with Dusten Brown. How Baby A's dad wound up in California is also significant in the history of Indian people in the United States. His Choctaw mother's family was “relocated” to the Los Angeles area after the Indian Relocation Act (Public Law 959, 1956), in which Indian families were “invited” to move from their homelands and reservations to urban areas in a program designed to “integrate and assimilate” Indian people into mainstream culture. 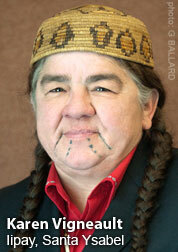 It was part of the termination policies of that era, in which tribal rolls were closed and their assets liquidated. 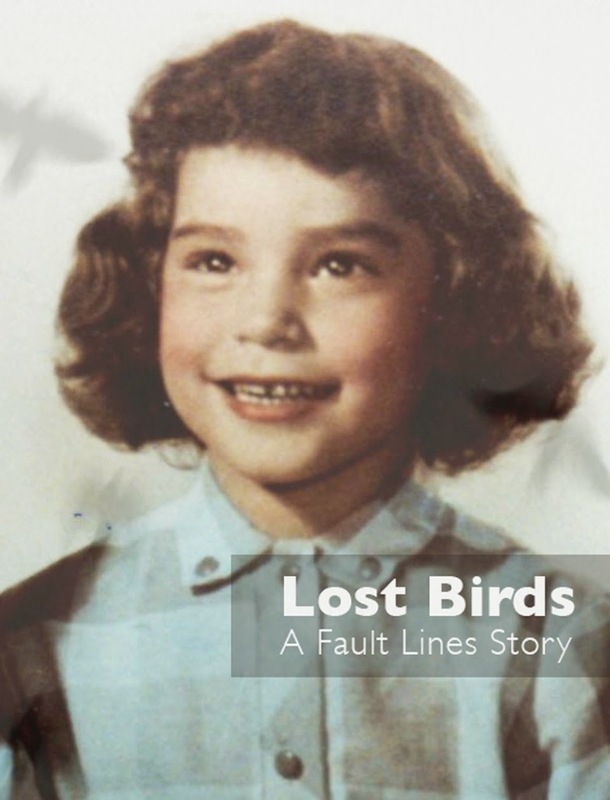 Relocation is considered a failure by many Native historians and tribal members, not only because of its further destruction of tribes, but also its creation of the disconnect and widespread diaspora of Indian people across the U.S. that exists to this day. As a direct result of these policies, Los Angeles has the second largest urban Indian population in the United States after New York City. According to the U.S. Census, most of the tribal members in the greater Los Angeles area are from out-of-state tribal communities. All parties in the case have declined comment because CFS v. J.E. involves a child. Nonetheless, last Tuesday, a number of courtwatchers, lawyers (who do not represent any of the parties) and ICWA experts attended the appellate hearing with the encouragement of the California Indian Legal Services, who had posted a notice of the hearing on their website. In her argument before the three-judge appellate panel, Alvino McGill argued yet again that ICWA's preferred placement preferences are “unconstitutional,” citing an old case involving Hawaiian Crown lands, which baffled many onlookers in the courtroom. Additionally, Alvino McGill argued that the lower court's ruling that “no good cause” existed to allow the child to remain with the foster couple was “erroneous,” in spite of the fact that the child has ICWA-compliant relatives who are willing to take the child into their home. In the meantime, as the case of Children and Family Services v. J.E. et al., unfolds, Summer and Russell Page are seeking to exchange their status as foster parents to adopting a Choctaw child who has living relatives available and which would allow dad to maintain contact. The California Second District Court of Appeals, under presiding Justice Paul Turner, is expected to render its decision within the next several months. Please visit Indian Country Today Media Network for continuing coverage of this and other ICWA cases. Interesting that Russell Ripley Page (or Rusty Page) and his wife Summer Lynn Page are both evangelical Christians and members of Grace Community Church is Sun Valley, Calif. Grace Church encourages its members to support adoptions through their Hands for Help Ministries in which Rusty has been as active proponent of foster care. Rusty Page attended the conservative Master's College in California, run by his own pastor at Grace Church, John MacArthur. They believe it's God's mission to call Christians to adopt. That's why they're fighting to keep Alexandria Page from her Choctaw father. As for their attorney Lori Alvino Mcgill, she wants to make a name for herself and get this case to the US Supreme Court. Well, if they are evangelical Christians, this speaks volumes for where the source for their courage, dedication and great parenting skills comes from. I don't think any true parent - of any religion - would be complacent if a child they loved was taken from them and put into the hands of strangers. As for the motive of their attorney, she has been dedicated to serving them from the start, long before this case became public. Perhaps you could take a more compassionate and less cynical perspective? A repeat of the missionaries who are aiming to save us Indians from our parents? I have had my fill of this. 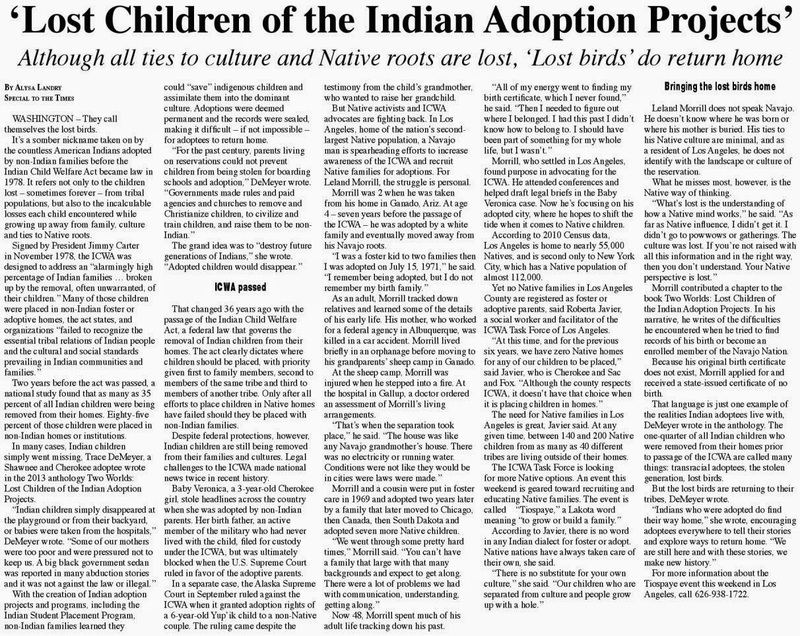 We must reinvent foster care and adoption within the tribes - which is happening slowly. Wasn't Lori Alvino McGill the same attorney for the bio mom Christy Maldonado in the baby Veronica case? And didn't she sue the Justice Department saying that ICWA was unconstitutional? The suit was essentially thrown out. And I remember she called Dusten Brown a "sperm donor." And now she's trying to say Russell and Summer Page are the "de facto" parents of 4 1/2 year old Alexandria? Since when are foster parents "de facto" parents? Russell Page and Summer Page should be called "Mr. and Mrs. Entitlement" because they think they are entitled to this child. "How can we take a child into our home for any duration of time, treat him like our own, and then give him back (sometimes into a situation that we still think isn’t right for him)? But after thinking and praying about it, we came to the simple realization that foster care, as with all service, is not unto ourselves, but rather unto God (Col. 3:23). That requires us to give up our own desires in order to meet the needs of another." So, why are Russell and his wife Summer Page fighting to keep their foster child Alexandria from her biological father if Russell believes that he should give up his own desires to meet the needs of another? "The order transferring custody of the minor to the R.s is reversed. The cause is remanded to the dependency court with directions to determine if good cause exists to deviate from the ICWA's adoptive placement preferences in accordance with this opinion. 41 pages; Kriegler-Turner-Mosk"
A remittitur refers to an appellate court sending a case back to the trial court so that the case can be retried, or so that trial court can enter an order that conforms to the findings of the appellate court. the Baby Alexandria case was sent back to the lower courts. the appellate court essentially THREW OUT ALL lori Alvino mcGill's anti-ICWA arguments and the judges appeared to kick her back to her DC firm. As for what happens to the Choctaw father and the child, we don't know. "Jump through hoops, hoops and more hoops" is the EXACT statement said to my daughter and son-in-law by their baby's attorney. The parents are indigent and asked for an attorney and was turned downed but the child was given an attorney. My daughter is a member of the Choctaw Tribe. In the beginning when the baby's maternal aunt filed for guardianship she lied and said my granddaughter was not native American and knew full well she was. When I confronted her attorney the court allowed the petition to be refiled and the aunt was never prosecuted for deliberately falsify information on a court document. How could a judge do this?!? This is a felony! When it was determined that this is an ICWA case, standards were never followed. There were never "active efforts" made with regards to "providing services to the family to prevent removal of an Indian child from his or her parent or Indian custodian nor "reunify an Indian child with his or her parent or Indian custodian after removal". On the contrary the parents were told if they didn't agree to the maternal aunt having guardianship they would be taken to trial and that it would get very ugly and they would lose anyway. So reluctantly they signed the guardianship papers with the understanding that they could petition the court when they were stable enough to care for their child. As soon as the aunt received the guardianship she stopped all visitation for the parents and myself. The parents have not seen their daughter in 2 yrs. The aunt took the child to live 100 miles away and had the case transferred to the county where she lives. As I said, the parents are indigent and without transportation and are being told by every agency there are no funds. to help them. Is there any one willing to take this case not just for the parents but for the rights of this Indian child to be raised by a non-Indian and not knowing her Indian family and heritage. Anonymous, please call the NICWA office in Portland, Oregon, they have attorneys - this is what they do! Google them and call now! Thank you Trace. I will do that and keep you informed.